Have you heard about riced cauliflower as a way to reduce grains or carbs in your diet, but you aren’t quite sure what it is? Cauliflower rice is a method of preparing cauliflower so it can be used as a nutrient-dense, low-carb replacement for regular rice! 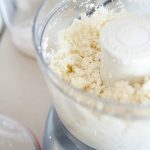 Since cauliflower is keto, paleo and Whol30 compliant, cauliflower rice can be an easy substitute to make some of your favorite meals work with your healthier lifestyle. I don’t think any mom should have to be a short order cook, which is why cauliflower rice is one of my absolute favorite little tricks to use to encourage my kids to eat healthier right alongside me. And it’s not just the rice! 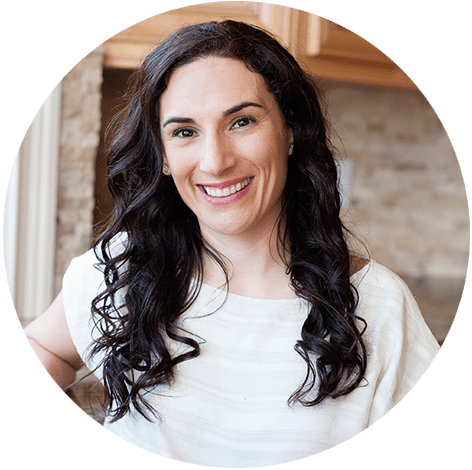 I created an entire 30-day program that helps families ditch processed foods and eat whole foods as a whole family! It’s called the Family KickStart program and I created it with YOU in mind! I know how hard it can be to make big transitions like that with your spouse and kids, which is why I do all the heavy lifting for you. I supply the meal plans, (picky eater approved!) recipes and even grocery lists that will make your family’s transition to eating whole food together, an easy one! Learn more about my Family KickStart program here and join the families across the nation who have already found success eating whole food with their families through the program. There’s not just one way to turn cauliflower into rice… there’s six! You don’t need any fancy tools or equipment to make cauliflower rice, you can use what you already have in your kitchen! I know, I couldn’t believe it either. How could making “rice” out of a vegetable be so easy? 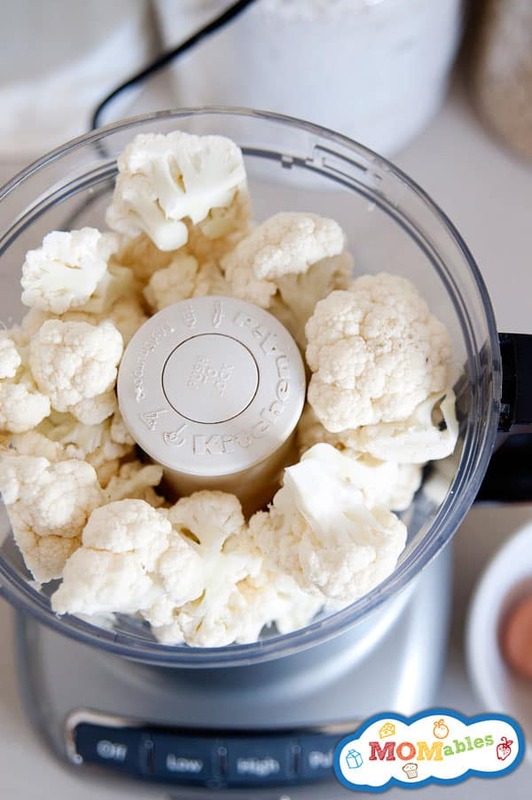 All you have to do is place washed cauliflower florets from a head of cauliflower into your food processor. Pulse, and pulse, and a few more pulses. The only drawback to using a food processor to rice your cauliflower is that the pieces can end up uneven and you may have some larger cauliflower chunks in the mix. You can avoid this by swapping the regular food processor tool for the cheese grater attachment if you have one. Check the back of the pantry, so many food processors come with this little tool, but it’s rarely used! I find it’s the perfect fit for making cauliflower rice. I’ll show you how it’s done in this video. Don’t have a food processor? 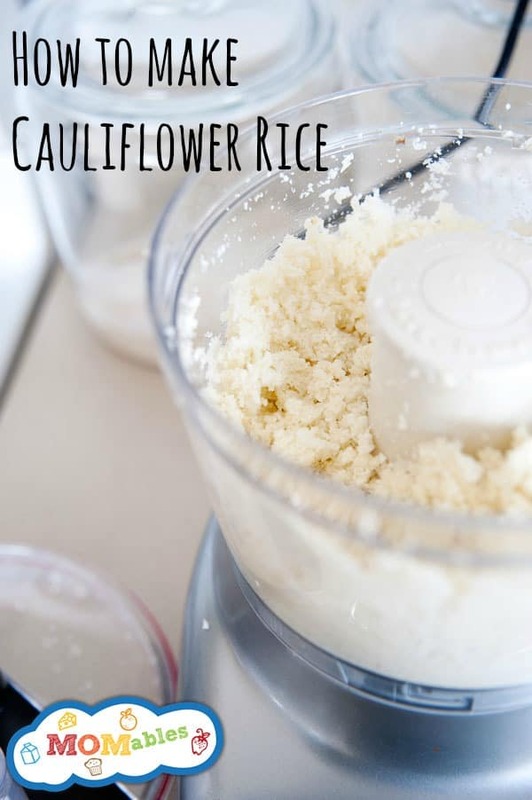 You can also make cauliflower rice using a blender! Want to avoid gadgets all together? Pull out your cheese grater. Cut the cauliflower into larger wedges, and use the side of the cheese grater with the largest holes to grate. This method of ricing cauliflower will give you pieces of cauliflower that are consistent in size and a finer, couscous-like consistency. If your kitchen is bare, or you simply prefer to do everything manually you can also try using your chef’s knife. Simply remove the cauliflower stems and mince the cauliflower into small, rice-like pieces. Planning ahead? I love making my cauliflower rice ahead of time so I have it when I need it for a quick lunch or dinner recipe. The easiest way to store cauliflower rice is in a zip loc bag. Simply line your bag with a paper towel to soak up any excess moisture, add the cauliflower rice and squeeze out the air. Cauliflower rice can be stored in the fridge up to three days. Can you freeze cauliflower rice? Absolutely! For best results freeze in 2 or 4 cup measurements which is perfect for 2-4 servings when you’re ready to cook the cauliflower rice. Okay, so you have the riced cauliflower—now what? You’ve got to cook it. You can steam riced cauliflower on the stovetop or covered in the microwave. When you use cauliflower rice, you don’t need to wait 20 minutes for it to cook you can be eating in minutes! Here is how you do it. The best way to steam cauliflower rice is in the microwave. There’s no need to pull out a special pan or steamer. Simply steam the cauliflower rice in the microwave for about 3 minutes! This method works best if you plan to serve the cauliflower rice immediately. My favorite method for cooking cauliflower rice is to sauté it! It adds a delicious nutty flavor and creates a texture that’s closest to regular rice. Pull out your favorite sauté pan for this riced cauliflower cooking method. Heat one tablespoon of oil in the skillet over medium-high heat, add the cauliflower rice, stir, cover it and reduce the heat to low. After about five minutes remove the lid, stir the cauliflower rice and serve once its nice and tender. I walk you through both of these Cauliflower Rice cooking methods in the video below – check it out! ﻿ These are my six top ways to prepare and cook cauliflower rice, but it doesn’t stop there! You can add cauliflower rice to your favorite stir-fry or use it as a side dish for dinner tonight. But I have a few favorite recipes using cauliflower rice to share with you too. Now that you know how to make cauliflower rice, get ready to start using it as a replacement for any recipe that calls for plain rice. I’ve been using Cauliflower rice for years, so I’m glad to share a few of my favorite, tried-and-true recipes made with cauliflower rice! Grab the printer-friendly recipe for making cauliflower rice below! This is a basic recipe in my grain-free kitchen. I hope it becomes yours too! Add the oil to a pan over medium heat. Add the cauliflower rice and your choice of seasonings, and sauté until it’s cooked and has softened. Hi, I’m planning on making cauliflower fried rice for meal preps, can I freeze cooked cauliflower rice and re-cook it? Is this possible? Hi Sara! Yes, you can freeze cooked cauliflower rice, just make sure to warm it up in the microwave or on the stove before using. Thanks! I’ve have a problem with worms in my cauliflower, So I like to wash is using the Indian cooking method which is boiling it with a little vinegar and water for a few minutes to make sure it’s worm and parasite free. Can i still make the rice and pizza if i wash it in this manner? After you cool it down from cooking you can. Enjoy!